This is a power user exclusive deal so YMMV. I received the email with option to get the coupon code. Yesterday they approved me within 24 hours for Nebula. I had other ones from before. If you have some anker products, don't forget to review them here. Do a good quality review with something that is unique. Review should be like an interesting novel that the reader don't leave without finishing. I’m confused, you sign up for different brands separately??? When I signed up initially, I was not approved for Nebula (approved for all other sister brands). Recently, they approved for Nebula too. Oh cool. What exactly do you get for being a power user? Coupons and beta tests? Earlier there used to be free samples (first come first grab type) and also coupon style discounts. Conditions were that you have to review the product or you don't get more. Now those free samples are gone. Beta tests were more targeted. Anker contacts you if they need you as beta tester. Us in UK are itching for anything to test n review or pure heaven of a beta test. It seems like we poor cousins o er the pond are not in favour of Anker when it comes to beta or any testing. How can we push the Anker brand if we have nothing to push? 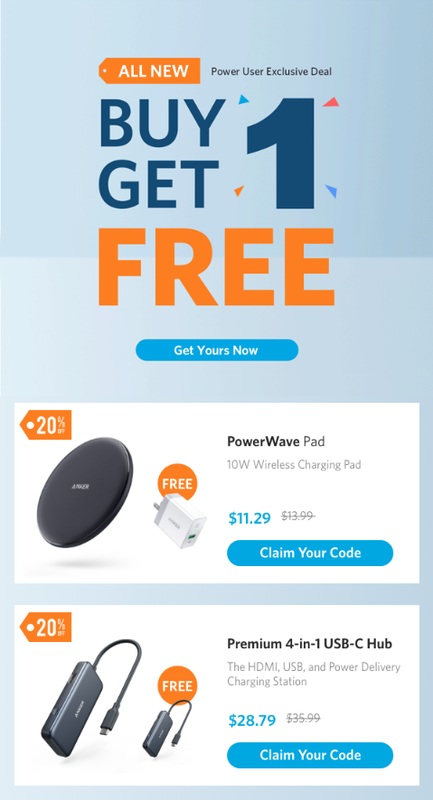 great deals for power user!!! Most of us new members are not PU’s so not useful. And few of us like me own only few (a couple may be ) products. So not too many reviews done here. So very less chances to get selected for BETA or PU.